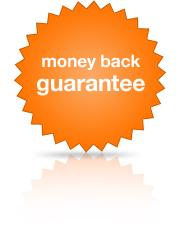 We offer a guarantee of the security of a Money-Back Guarantee when you purchase ValueGain. You get the opportunity to fully road-test the software for 30 days. If you're not completely satisfied you can return it for a 100% refund. * Conditions Apply. To find out how to apply for this Money Back Guarantee, please refer to our refund policy.